#TNLCX Fundraising Campaign - Fully Funded! The TNLCX team's fundraising campaign to raise $8,000 for neighbors that needed new furnaces was completed last night thanks to Bicycle Garage Indy's successful Bikes & Beers event. 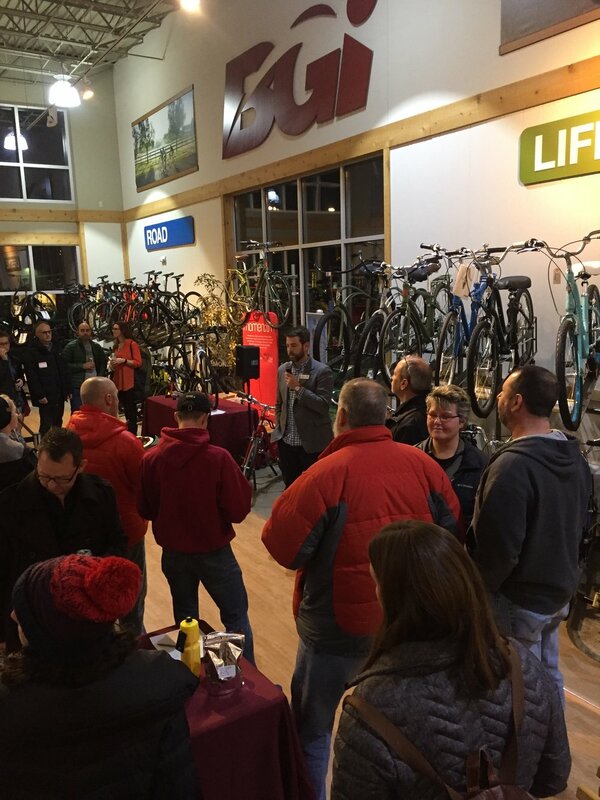 Over 100 people showed up to BGI's incredible 82nd Street store on a cold, February evening to look at bikes, see their hibernating friends, drink Flat 12 Bierwerks, eat all of BGI's food, and bid on some incredible silent auction items. Two hours was just too short for a fun evening like this as illustrated by people hanging around until at least 9pm. We couldn't imagine a better way to spend a Thursday night and had a lot of fun getting to meet new folks and chat with friends we haven't seen since early December. The silent auction generated over $1,800 in funding for NeighborLink thanks to all the bidders. 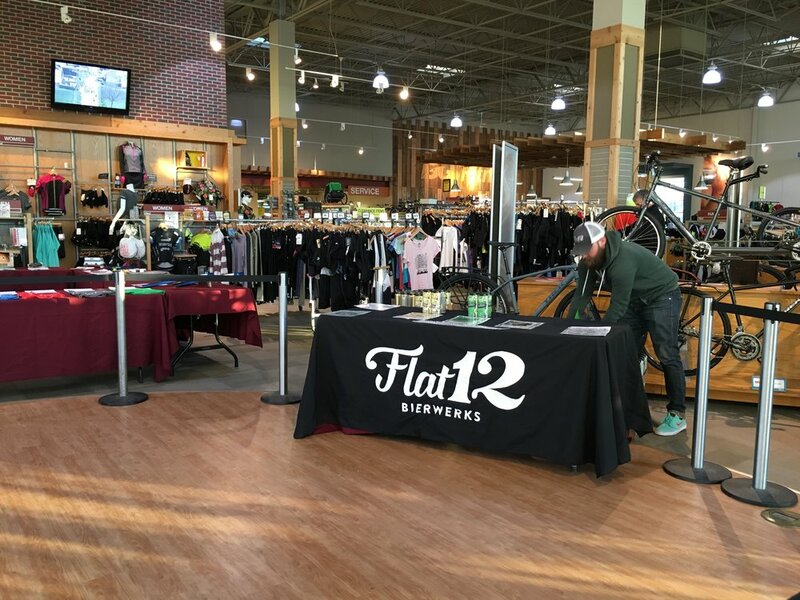 There was plenty of TNL gear combined with donations such as UGO Bars, a ladies Giant seat, a Nutcase helmet, a set of Giant wheels, a really cool handlebar bag, and an always drool worthy set of Zipp 303 tubeless disc wheels on the tables. Those wheels are a brand new product for Zipp and just barely made it in time for the event. Huge thank you to SRAM for their generosity and support all year long. We're SRAM for life at TNL. Another $478 was donated to the cause via beer sales and cash donations, which brought the grand total for the night to $2,339 donated to NeighborLink. This brought the grand total of our fundraising campaign to $7931, which was just shy of our $8,000 goal we set all the way back in August. This morning we got a note that $100 was coming via the mail and a donor made an online donation of $70 to close out the online campaign. On top of that, we still have two '16 Giant TCX Advanced bikes to sell, which we hope puts us close to the $11,000+ range. Thank you to everyone that has donated cash, bought merchandise, and supported our efforts all season. We feel supported and believed in. It shows that what we're trying to do matters to you as well beyond a pat on the back for doing some good deeds. 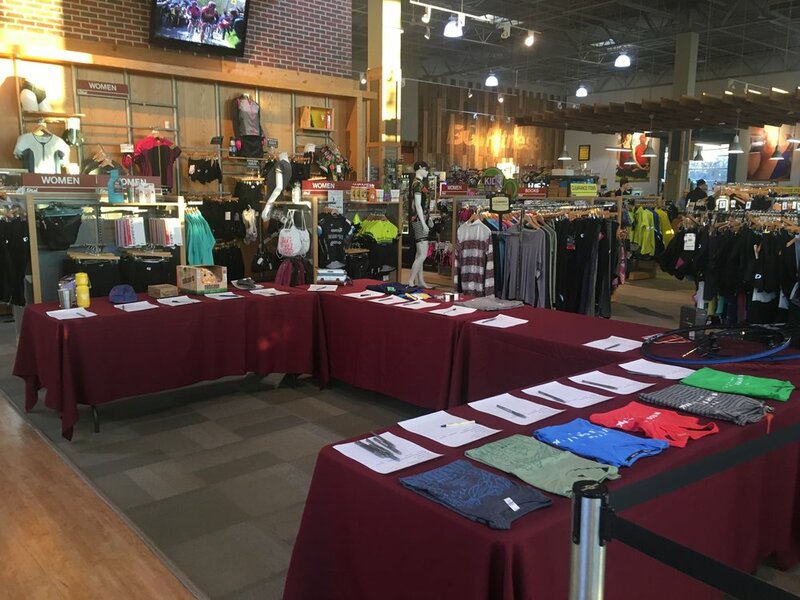 In addition to great brands like Giant, SRAM, BGI, and all the other small partners, we have companies like Parkview Sports Medicine, Custom Living, and Nathan Alan Design that put in cash sponsorship to cover our team's operational expenses this past fall. All of that provided the required foundation need to build this successful campaign. We surely wouldn't have been as dialed in without it. What ultimately matters most is that this funding is making a direct, measurable impact for our neighbors. We set out to fully fund 4 furnace replacements, and to-date, 5 complete furnaces have been replaced and 12 have been repaired with the funding we've raised. We have funding in pocket to fund a furnace in Indy that is pending, and we'll do at least one more in Fort Wayne. There is no way that we could have done as many furnaces without businesses like Homesense in Indy that donated their time to install the first furnace, and Masters Heating and Cooling in Fort Wayne that has donated labor for 4 installs, worked with a vendor to get a donated unit, and has repaired 12 furnaces that were fixable for homeowners that were told their furnaces needed replaced by other contractors. We're full of joy today as we celebrate all the good that can be done via the passions and resources we have. It's a gift to be healthy, active, and given the opportunity to share out of our abundance in small ways that can be collected to make a significant difference. We are always surprised by what happens when a vision is cast and a group of people are dedicated to seeing it through. 2017 is going to be another incredible year as we attempt to take our $20,000 raise in 2016 to $30,000+ in 2017. Stay tuned for what we have in store.